Pete the Cat is sure to make reading fun for young readers. This paper-over-board bind-up features 9 groovy stories. This collection includes both My First and Level 1 books, making it perfect for young readers who are ready to grow with I Can Read. 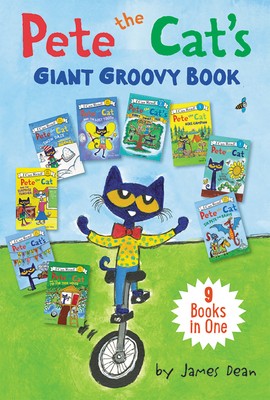 Pete the Cat's Giant Groovy Book includes eight favorite tales plus a brand-new one exclusive to this collection. Ideal for children learning to sound out words and sentences and beginning readers.